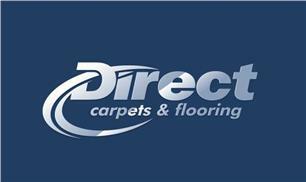 Direct Carpets & Flooring (Northwest) Ltd - Carpets/Flooring, Cleaning Services based in Tyldesley, Greater Manchester. We are based in Astley Tyldesley and cover the surrounding areas such as Atherton, Leigh, Boothstown, Worsley and Ellenbrook and the Northwest We have been in the carpet and flooring industry for a number of years and our showroom at 387 Manchester Road has been open for just over 7 years. We have a wide range of samples on display set across 2 floors. We have an honest and friendly team and always try our best to offer you the most competitive prices on all of our products and services. Direct Carpets & Flooring is an independent, family run carpet business providing a wide range of carpets and flooring at affordable prices for domestic and commercial customers throughout the Northwest.